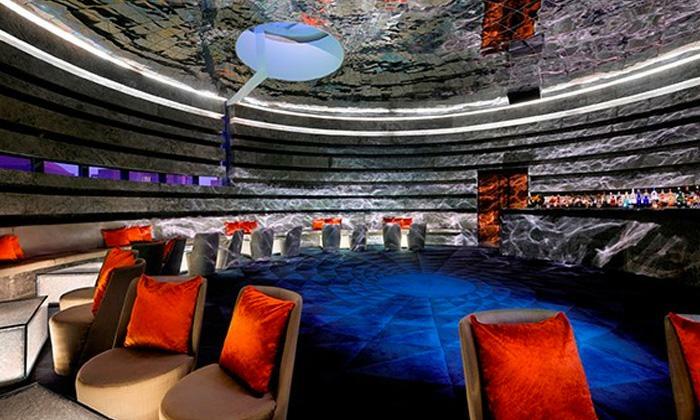 Located in within the Lebua Resort in Jaipur the Chakra Bar is a bar and lounge perfect for a quiet, relaxing evening. The gentle lighting the ambience is reminiscent of the night sky. The restaurant offers a range of starters and finger food to go with their wide selection of drinks. The soothing ambience and the elaborate presentation of food and drinks makes this a good place to unwind and relax.